Interior or exterior applications for fast, permanent repairs of wooden items. Can Be Drilled, Sawed, Sanded, Stained & Painted! 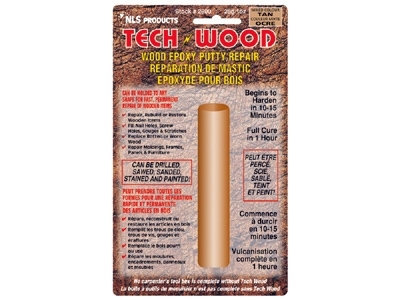 Use to restore / replace rotten or worn wood. Excellent adhesive properties for filling nail holes, screw holes, gouges, scratches, etc. 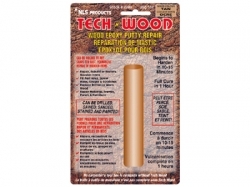 Use TechWood wood putty repair for moldings, wood carvings, knobs, handles, frames, panels and all types of wooden furniture. Wood epoxy putty repair for moldings, wood carvings, knobs, handles, frames, panels and all types of wooden furniture. Distributed by NLS Products.